At a bookstore in Rome, Richard (now Radhanath Swami)’s lower nature overcame him; he stole a book that taught to play the harmonica. Later when he discovered that Gary had a stolen a wooden crucifix of Jesus, he was angry and chastised him. Gary was quick to point out Richard’s hypocrisy in stealing a book but later condemning Gary for doing the same. Richard felt ashamed and defeated. Later at night gazing at the stars, Richard realized it’s a horrible sin to be a hypocrite; to preach but to not practice. The word hypocrisy originated in the Greek language as a theatrical term. One actor often played multiple roles in the same play by disguising himself with a series of masks. The actor was called a “hypocrite” because he had two or more faces. The idea of a person being “two-faced” evolved, describing someone who said one thing and did another. Hypocrisy is a front – it is a person who pretends to be more righteous than he is. Radhanath Swami reveals that a hypocrite lives a lie; he tries to make the outside appear better than the inside. It involves deception, dishonesty, and trickery by a person that is a fraud or a con. Radhanath Swami answers the question why one becomes a hypocrite; when one seeks praise and approval from others or has a desire to be well-liked, he will do anything to get his desired goal. Radhanath Swami warns that hypocrisy is dangerous, especially for those professing to be spiritualists. When the deception of a hypocrite is exposed, many people are hurt, disappointed, and disheartened. There are a large number of people in the world who want nothing to do with God, or religious and spiritual organizations because they have been deceived or misled by so called religionists. A hypocrite not only can cause the loss of his own trustworthiness but the integrity of others he associates himself with and the institution he is affiliated with, is at stake. Radhanath Swami once answered a doubt I had for long time. As a teacher of a spiritual path, I am often giving lectures on lofty spiritual principles. Am I being a hypocrite in spreading the message of God when I am myself not advanced? Radhanath Swami assured me that if am acutely aware of my limitations and while giving the lectures if I focus on speaking the sermon to myself rather than others, God shall certainly protect me. It’s not hypocrisy if I seek to preach to myself first, and preach to others only as their servant in the mood of a simple messenger of God. 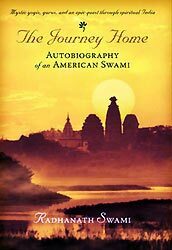 Giving sermons to oneself and preaching to others with the understanding that it is all for myself — such a wonderful revelation and instruction by Radhanath Swami. Such a beautiful understanding by Radhanath Swami on the subject of hypocrisy and how to deal with it. In the mood of a servant of God, we can speak the lofty message. This way we don’t risk being called hypocrite. Very nice explanation of how to avoid hypocrisy. Thank you very much for sharing the same. Thanks for sharing this article that has excellent answers for someone like me. The dangers of hypocrisy are so great. If one is exposed it causes embarassment not only to the individual but also to the every organization the person represents. But, there is a severe personal loss when one is not exposed because there will be zero improvement within. Radhanath Swami Maharaj has brought out all these points into focus. He has even explained how our service attitude can protect us from hypocrisy. Yes in spiritual life mood is very imp. People tend to take extreme approaches about hypocrisy. But Radhanath Swami’s approach seems to be a balanced one. The whole article is very nice, but I like what HH Radhanath Swami says in the last para in particular…preaching as an act of preaching to one’s own self first. One of the best posts .. thank you for such an instructive article. A true spiritualist should be free from hypocrisy……otherwise as mentioned in the article, he not only loses his own truatsworthiness but also of the institution he associates with……. Radhanath Swami Maharaj explains dangers of hypocrisy! Radhanath Swami has exposed a deep rooted trait of human beings. He has explained how hypocrisy works at different levels and how it impedes our spiritual progress. 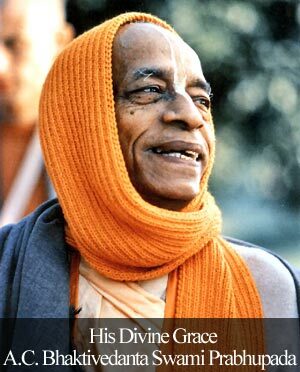 Radhanath Swami has always been at the forefront to accept the things which were not correct for him. His concern about not being a hypocrate should be taken very seriously by any society because the concept of being a hypocrate can wrath any kind of havoc in the society. when one seeks praise and approval from others or has a desire to be well-liked, he will do anything to get his desired goal becomes hypocrite. Nicely explained by Radhanath swami. Radhanath Swami Maharaj highlights the evil of hypocrisy at the same time he gives practical advice on avoiding it. Radhanath Swami is a very thoughtful person. Before he says anything to others, he makes sure that he himself is following it. And that is how I see his students respect him so much. Radhanath Swami’ analysis of hypocrisy is perfect. If this tendency of seeking worldly glory isn’t checked, hypocrisy is inevitable… Thank you Radhanath Swami Maharaj for pointing to the root cause and its remeady. Its an profound and moving narrative. It brings a pin drop silence in our mind when reading and sinking it in. Those last two lines are especially so very important. Thank you for sharing this message with us all. Really wonderful.For Spiritual practitioner to advance swiftly one has to safeguard oneself from these diseases of heart Hypocracy & Duplicity.Beautiful explaination by Maharaj. Thank you so much Maharaj.Radhanath Swami Maharaj ki jai !! Thanks for the excellent points of view based on the teachings of Radhanath swami. A very good advice from Radhanath Swami not to become hypocrite. All glories to Radhanath Swami. Maharaj’s realization on the topic of hypocrisy is very profound stemming from his personal experiences. It is very important that one cultivates a proper image of himself without being a hypocrite.Like Maharaj has pointed out that hypocrisy is living a lie.It can harm one’s own spiritual growth that anything else. Very instructive article – “if I seek to preach to myself first, and preach to others only as their servant in the mood of a simple messenger of God”. Thank you so much Maharaj for enlightening us on the dangers of hypocrisy. Yes, as rightly pointed out by Maharaj, a hypocrite can cause loss of faith in the heart of the innocent masses. The general public as a result may not be willing to attend & associate with spirirtual organizations even if they are genuine. Thank you for guiding & warning us Maharaj. May I learn to understand my own limitations first & then preach to others. 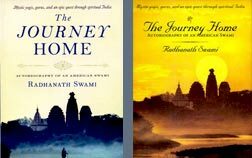 Radhanath Swami explains very nicely the pitfalls along the path to self-realisation while taking all his followers toward their ultimate destination – kingdom of God. Radhanath Swami warns that hypocrisy is dangerous, especially for those professing to be spiritualists. Very relevant article this is! Hypocrisy means to pretend to be more righteous than one is- what a perfect definition! We really should practice what we preach! I feel so relieved! Even I used to think that I’m being a hypocrite when I preach to others even though I’m not on that level. But the mood should be that we are preaching to ourselves. Wonderful advice to follow.